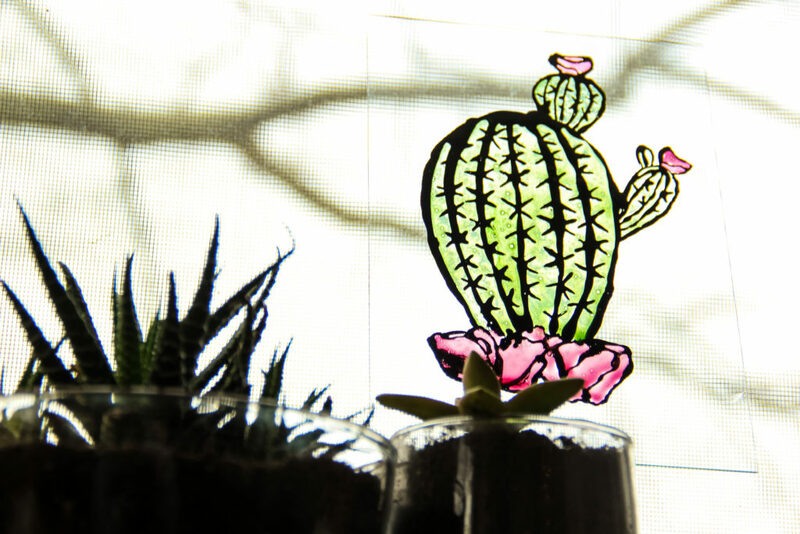 I got a little crafty over the weekend and made faux stained glass! This process was extremely experimental and the outcome is cute, but in my opinion, needs a little work. I will keep you updated on future tries with this one! The key is patience and caution! glass of any size (mine came from a dollar store picture frame) or you could use a cute jar or container! I simply removed the glass from the picture frame and cleaned it with windex. You want to make sure there’s no dust or other marks on it! 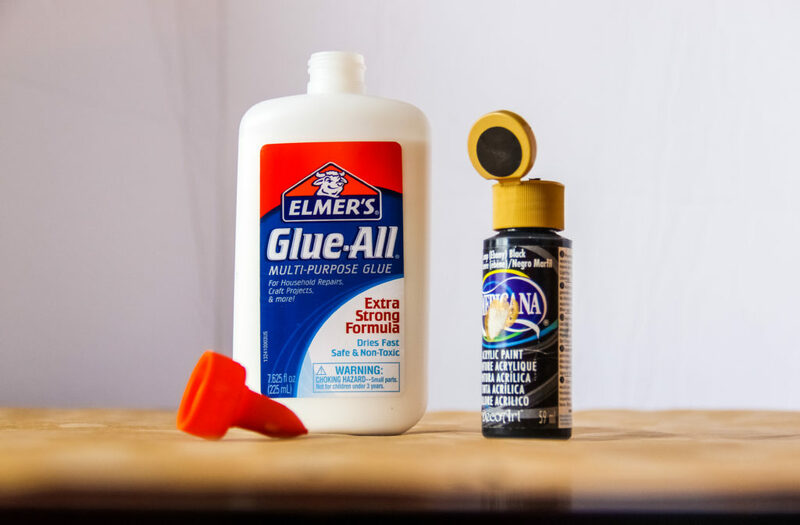 Mix a fair amount of black acrylic paint into the white Elmer’s glue. Don’t worry about adding too much because it’s only going to make the glue more black, which isn’t an issue! You could opt to use a different color if you want your lines to be something other than black (I’ve seen silver ones that look pretty dope), but I stuck with the classic. 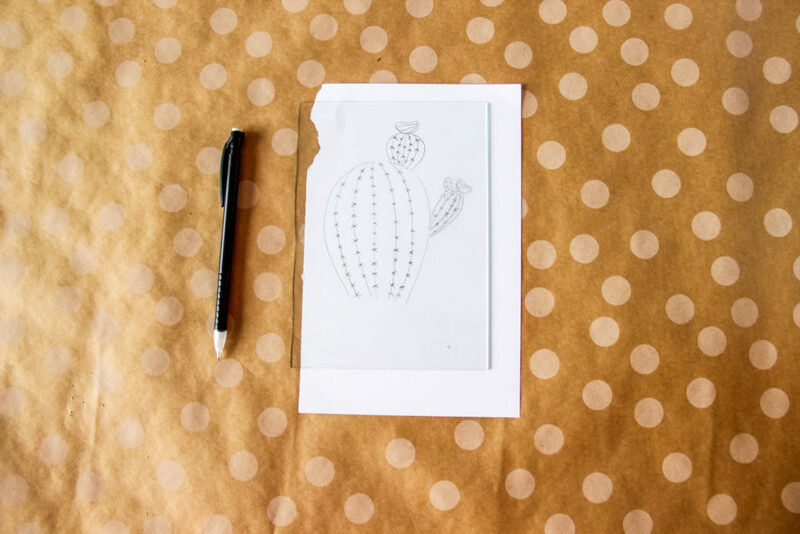 I planned to freehand my design but thought it might be easier if I created my own stencil. 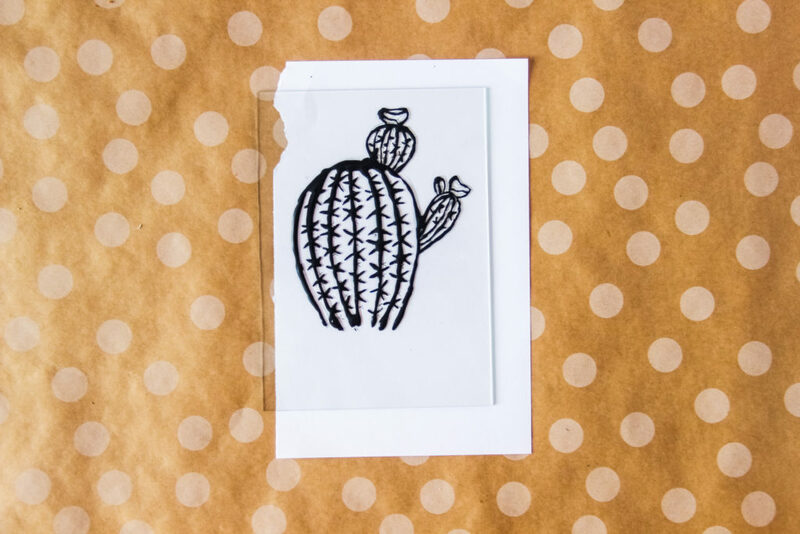 I drew a cute little cactus and placed the white paper underneath the glass in order to trace over it. My advice would be to draw something bold with a lot of space and little detail. As I started to trace mine with the glue, it got a little messy. This is the fun part! 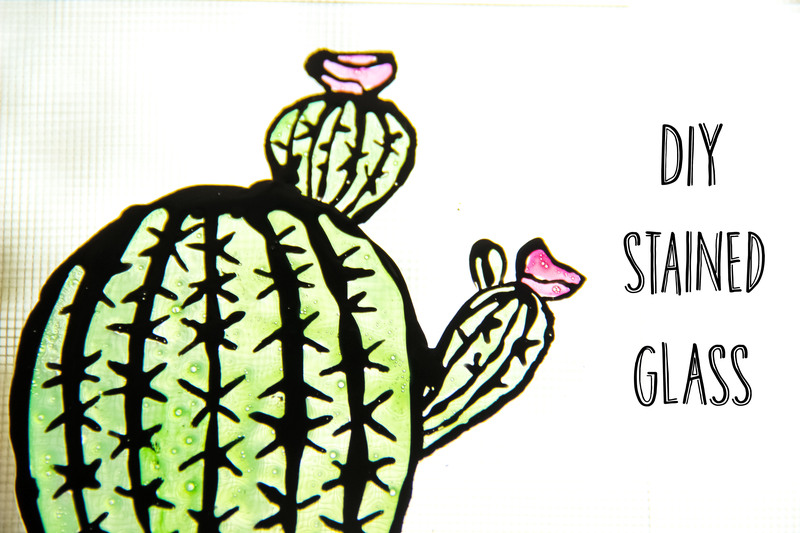 It takes patience and caution to execute successfully, but it’s all worth it! This is where the toothpicks come in! 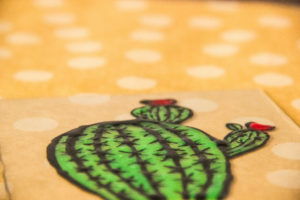 I traced the main cactus using the glue bottle and the glue comes out a bit thicker than expected. I ended up using toothpicks for the rest and it seemed to work a lot better. 5. Fill in with color! As I said, I used toothpicks for the rest of the painting, starting with the color. 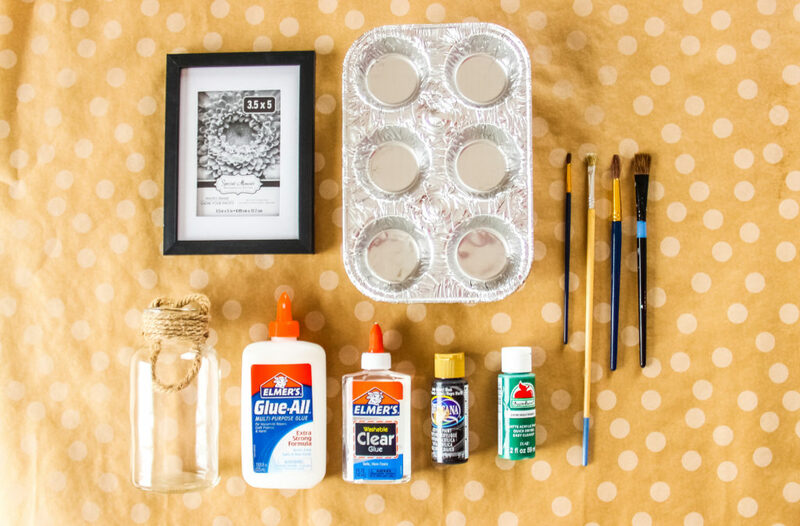 Q-tips help with runny glue! 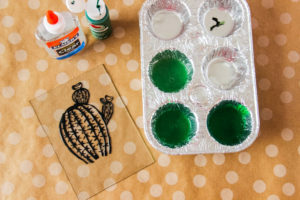 Mix the clear glue and colored paint in the cupcake pan. I experimented with different amounts until I got the color I wanted! Lift up your piece as you’re painting to see how vibrant the color is! You may want to use darker colors once you see its opacity up against the sunlight. That’s it! I added flowers to the bottom and let it set to dry. You could add ribbon to hang it or frame it. 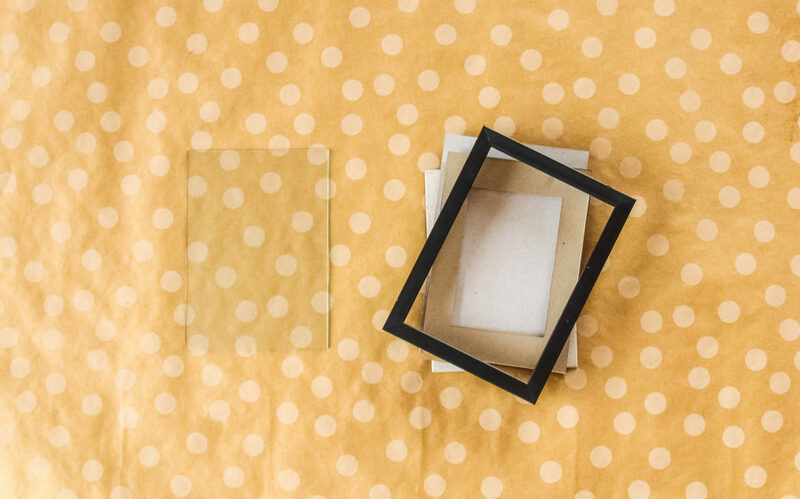 You MAY even be able to scrape it off and hang it like regular stained glass!